Looking to spend the weekend in Goa? Here’s an amazing Goa 2 day holiday full of activities and places to see on your trip as a first time visitor! From beaches to churches, Goa has it all. As you’re going on a short Goa 2 day trip, the best way to see Goa is by either travelling to North Goa (that includes Baga, Panjim, Calangute, and Vagator beaches) or South Goa ( includes Karwar, Agonda and Palolem beaches). 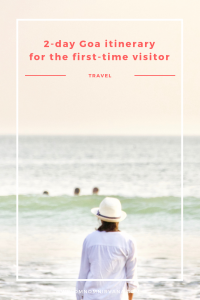 For a first time visitor, I’d highly recommend North Goa, as it has some of the best hotels in Goa, a great party scene and numerous fun beachside activities for all. The first thing you should do on your Goa 2 day holiday is to head to the beach, of course. If you can ride a bike, it’s truly the best way to see Goa. 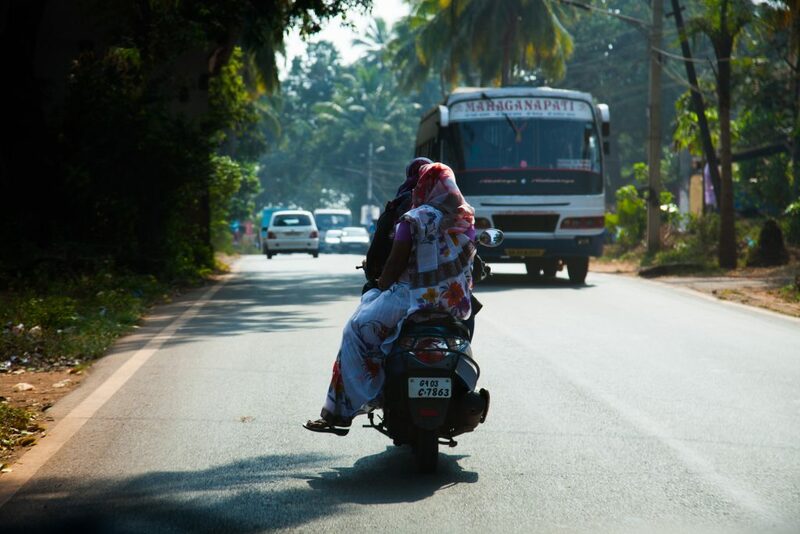 Renting a “scooty” (which is much easier to use) could set you back only US$2 per day, which is a great deal. Just make sure you have an international driving licence, and always wear a helmet. Remember, in India, they drive to the left, so if you’re coming from another country that doesn’t, it could take some getting used to! Alternatively, you can also rent a car with a driver for cheap too. Uber and Ola are often used as well, or alternatively, feel free to book a rickshaw! The first place I always recommend to first-time visitors is Panaji (also known as Panjim), as it’s the capital. You can spend your time driving around, starting first at the Baroque style Our Lady of the Immaculate Conception Church. You can also go to the State Museum, followed by a visit to the amazing Reis Magos Fort, where you can drink in lovely sea views. If you’re lucky, you might even spot the buzzing Panjim market as you complete a tour of the city. After you finish the morning in Panjim, head to Calangute beach, where you can stop for lunch at one of the beach shacks. When you’re here, don’t miss out on some delicious seafood! Post your delicious lunch, head over to Baga beach to try some water sports. 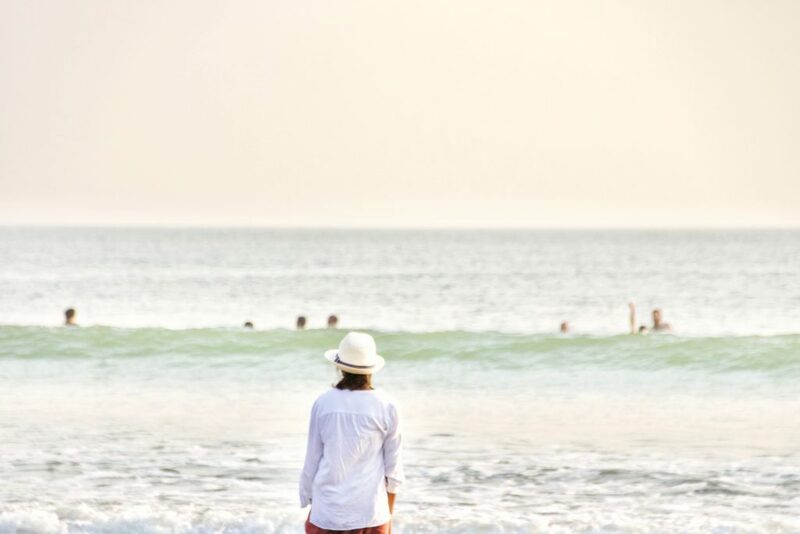 There are occasional pop-up markets and you can also choose to get a massage on the beach. You can also choose to sing some karaoke at neighbouring St. Anthony’s with friends along with some sundowners. The nightlife in Goa starts pretty late, so head on to the ever-popular Mambos, a popular nightclub in the Baga area. There are many bars and clubs in the area, so head to one that tickles your fancy. Britto’s is another famous spot amongst both locals and tourists alike. Baga also has some of the best hotels in Goa, so it isn’t an entirely bad idea to spend the night here after lots of dancing! On the second day of your Goa 2 day trip, head over to the various charming seaside forts in the city. Chapora fort is extremely famous and gorgeous too. You can trace the history of the Portuguese’s rule here, within these ruins. In fact, you will find signs of Portuguese cuisine even in Goan food. Fun fact: Did you know the chillies that are indispensable to Indian food today were actually introduced by the Portuguese? Vagator beach is comparatively calmer to the other ones in North Goa. After visiting the fort, end your trip at one last visit to the beach at Vagator. This is a much more peaceful, remote beach where you can unwind and relax before you head back home. Alternatively, Vagator beach also does provide some water sports action, like speed boats and water scooters. You can also hit the local markets here to pick up souvenirs on the way home. I hope you enjoyed my short but sweet Goa 2 day trip itinerary! Let me know if you have any questions below. Note: This post was made possible thanks to Cleartrip.